Time and practice make a difference. So, let’s help each other. Let’s guide each other. Let’s build each other up. Remember, we all started somewhere. Yesterday, my mom, dad, son, and I went to the Newport Aquarium. I have been wanting to take G to an aquarium for over a year. My excitement may have overshadowed his a little bit. Having the opportunity to explore and learn about the world is important to me, and I want to pass that on to my son. I wasn’t always that way. School work was never something in the forefront of my mind. Unless it was music, art, or theater, I was simply uninterested. Creativity is something I craved. Now that college is behind me, learning is enjoyable. Maybe it was the structure of it all. Ask anyone that knows me. I don’t do well with structure. I believe freedom was my key to learning all along. My teachers and professors were excellent through high school and college. However, classes that allowed for more freedom of expression were my forte. All of this starts with a sense of wonder. So, go out and explore. Reignite your love of learning and discover something new. You can travel, research, go to a play, interview a stranger, anything. Look at things a new way. Live, and always have a sense of wonder. Last year, a wonderful man passed away. His name was Ken Haddix. He was my marching band director through college. He was a mentor. He was an amazing musician. When I started seeing all of my college friends’ profile pictures change to pictures of him and themselves, I was worried something had gone wrong. It had, and cancer is horrible. I started searching my pictures. I didn’t have a single photo of us. He was a major influence in my life and the only photo I could find was one of a parade where I am spinning a flag and he is walking beside the guard. It’s not the greatest quality photo. It was probably captured by a cell phone. I was disappointed when I realized I never took a photo with him, but this is now one of my most valued photos. In the past month, I have lost two members of my family. My Aunt Bobby and my Uncle Ricky. As a wedding photographer, I know that the most important pictures of the day are of the people. Don’t get me wrong. I love the details. The details allows us to see the personality of the bride and groom. However, it’s not the details that make a wedding beautiful. It’s the people. So, what is the power of a photograph? Some photos are taken to invoke emotion. Some to sell products. Some to inspire. The beauty of photography is that one day those photos will become small and powerful memorials of our loved ones. When we take out our albums and picture boxes we’ll laugh, cry, and remember. We must remember. This is when photographs truly take on a new meaning for people. They become memorials instead of pictures. So, cherish those moments. Hug your loved ones. Take a picture. Capture a memory. Life should never be measured in length, but in depth. Love deeply, and always remember. Recently, we moved back to Kentucky. The financial strain of moving is there. The additional financial strain of owning your own business is there as well. I was praying Monday, asking for God to give me a client. My spring was pretty empty because of the move. May had only one booking at the beginning of the month, and then my June was full. After I prayed and asked my sister-in-law to pray for me as well, I received a text that same day from one of my photographer friends. They needed a second shooter for a wedding in May. This was completely out of the blue. Tuesday (yesterday as of writing this post) I received a message on my Facebook page from a bride that needed a photographer the last weekend of May! I just want to give praise to God for this. In two days I went from one booking in May to three. It is a comfort for me to know he answers prayer. Don’t ever be afraid to ask. Don’t ever be afraid to create. That is my advice to anyone who is doing a styled session and is just starting out as a photographer. I had never brought together such an amazing team of professionals before, and the results are beautiful. I want to give a special thank you to my sister, Ashley, for helping me set up and break down the shoot! I had so much fun with this styled session. Tell me your favorite detail in this session! Did you like the dresses? The jewels? How about the venue? Comment below! Also, I could not have done this shoot without the help of some amazing professionals and vendors! Click on their names to visit their websites! I have been following The Steel Magnolia Bridal Shop for a couple of months. I was incredibly impressed with their gown selections showing up in my IG feed. I had to work with them! I called the owner, Lacy, to coordinate a photo shoot. She was completely for it, and even asked if her friend, Megan, could be the model. I LOVE these photographs, and they were incredibly fun to create! The whole shoot took about two hours. Megan wore five beautiful Justin Alexander gowns, and was simply amazing in front of the camera. 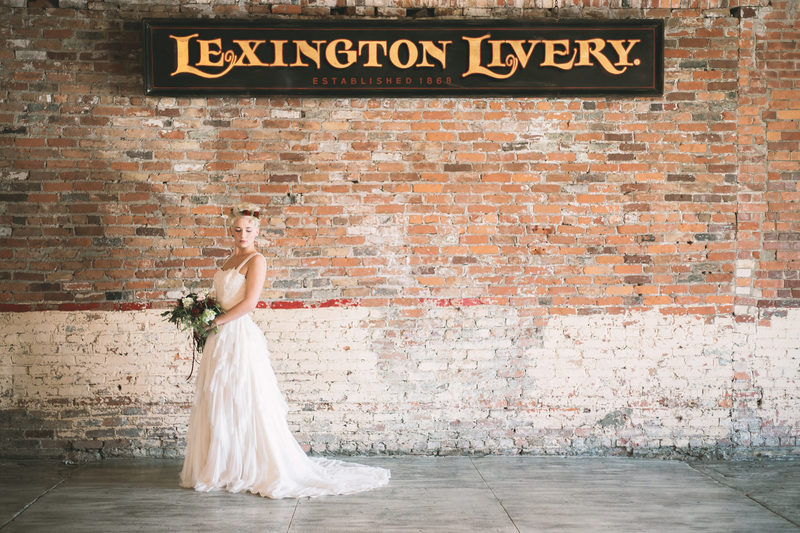 The beauty of this shoot (besides the beautiful Megan and amazing gowns) is the fact that it was photographed in The Steel Magnolia Bridal Shop itself. If you are looking for a dress, I highly recommend this shop in Somerset, KY. Lacy is wonderful and very carefully selects the gowns she brings into her store. Follow them on IG @thesteelmagnoliabridal. While you’re at it, follow me @kristendphotography! Thanks so much for reading! Tell me your favorite gown/photo in the comments!